In 1887 wines from the vineyard of Don Francisco de Rojas, a pioneer of the Chilean wine industry, won the international Gold Medal of Excellence in Paris. Descendents of his family keep the traditions of fine wine making to this day. 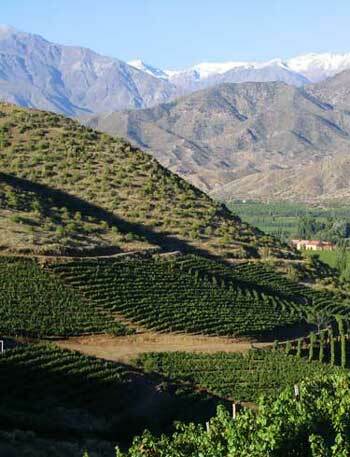 Nestled in the slopes of the Andes mountains in the Aconcagua Valley of Chile, the grapes thrive in the rich soil, in a perfect climate, their ripeness nurtured by the waters of the Aconcagua River. Today, under winemaker Horacio Vicente of the San Esteban Winery, the Rojas line of wines, Alma de Chile and Dos Pasos, are produced and bottled with the same commitment to excellence that began the tradition.